Autoimmune diseases are often triggered by a T-cell imbalance in our system. Like forces ready for battle against an invading army, the T cells are pivotal players in defending the body against infection or injury. When under siege, the immune system quickly releases a burst of disease-fighting T-cells to engulf and defeat the invaders. Specialized blood cells—called “T effector cells”—are mobilized to fight the attack. Once the enemy is vanquished, regulatory T cells (Tregs) are supposed to quickly sweep away any T effector cells left on the battlefield. Inflammatory diseases result when T effector cells linger in the bloodstream, circulating to distant organs and attacking the joints. The overgrowth of T effector cells contributes to the development of chronic inflammatory diseases such as rheumatoid arthritis (RA), a disabling disease that attacks and destroys cartilage and bone, leaving the joint painful and inflamed. In his laboratory, Arthritis National Research Foundation funded researcher Kai Yang, PhD, is studying the cellular and molecular mechanisms of inflammatory diseases at St. Jude Children’s Research Hospital. 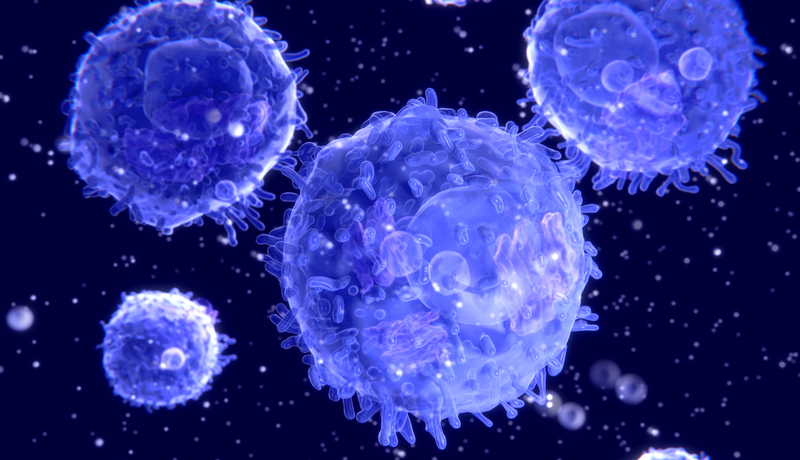 The interplay between immune regulatory mechanisms and T cell responses is crucial to the body’s defense system. When it goes wrong, it sparks a body-wide inflammatory response. In the hope of finding a better way to treat RA and other autoimmune diseases, Dr. Yang is also studying how pro-inflammatory T helper cells intended to safeguard the body’s immune system from disease-causing microbes also promote inflammation. The body’s protective cellular reaction turns toxic when thrown into overdrive by persistent assault by bacteria or pathogens. Scientists are studying how inflammation — marked by redness, heat, swelling and pain—sets the stage for RA and other autoimmune diseases. Over the past decade, medications that modify the body’s “biologic response” have made breathtaking strides against inflammatory diseases by blocking chemical messengers in the immune system. Biologic therapies don’t simply reduce pain and swelling, but also block the pathways that trigger inflammation and destroy the joints. Dr. Yang is focused on understanding the crucial role of a molecular pathway—called PTEN signaling — in the normal immune system. His research targets a complex web of signaling and metabolic pathways with the potential to influence the development of joint-damaging inflammation. “My recent study highlights the crucial role of PTEN signaling in the development of an autoimmune disease,” he explains. What is the role of PTEN signaling in metabolic pathways that influence autoimmune diseases? Dr. Yang is studying the complex interplay between molecular and metabolic pathways. Someday, scientists may be able to harness PTEN signaling to potentiate the function of Tregs — while also suppressing the T effector cells that promote inflammatory diseases. Help support more cutting-edge research like Dr. Yang’s by making a donation today! So, I wonder … is the considered new therapy to be used to downregulate CD4/CD8 outright … or is it an upstream cytokine (IL-1, TNF-a, IL-6, Il-8, Il-18) inhibitor? I’m curious to know the answer to Johns question. I have spondolytic arthritis. My CD4 count and CD4:CD8 ratio were above normal when last measured. Is this relevant?